concern images and information (or lack of). 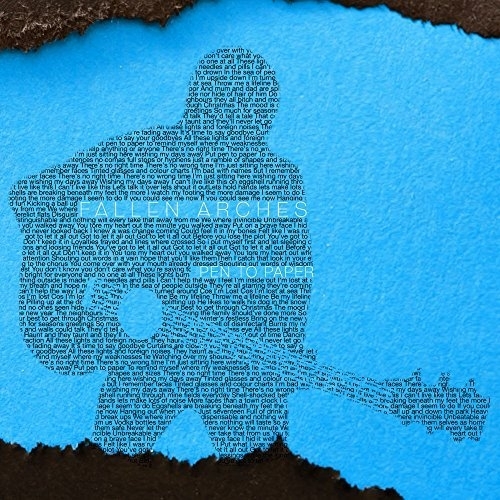 This review of Fallen Arches is exciting but it is absent of great images – something I am getting strict on next year. I love the pieces where I can put some great photos in and make it look really good. I will talk about (for the last time this year) the importance of a healthy stable and things to consider next year. Before then, I will look at Scotland and Glasgow artists; social media and selection criteria; acoustic, humble songwriter; touring the country and seeing the sights; 2018 and what the songwriters can come up with; why the mainstream needs a bit of shaking up. I have been neglecting Scotland for a bit and spending too much time in England. The country is producing so much good music lately – I know they will make a huge impression in 2018. It is going to be interesting seeing how music transforms and evolves in the coming months. On Christmas Day; I will write a piece that explores Manchester and how the city will take some energy and momentum from London. I always love the capital and think it has produced some of the best music ever. I have spoken a lot about Scotland this year but have featured very few artists from here. Glasgow is a big and productive city that contains some of the most promising acts around. It is a country the mainstream media ignores and I cannot really see why. Everyone who visits there comes back with an awed expression and fantastic stories. Scotland is an amazing country with phenomenal landscape and wonderful people. It is only natural the people would reflect that sense of beauty and interest. If one spends a bit more time investigating and searching; they will find just how many great artists there are in Scotland. I am worried we are neglecting the nation and feel all the finest music comes from London. Colin Bell’s Fallen Arches is a hard-working act that has been gaining local pride and attention. Next year, I will be moving towards bigger acts that are closer to the mainstream – getting a sense of the stars of tomorrow, as it were. Bell’s music is fantastic but it might be a few more years before he can negotiate focus from the movers and shakers of the industry. The only way this can be done is people turning their obsessions from England and training it to Scotland. I am interested seeing how the country is growing and what artists are coming from there. I am seeing a raft of wonderful solo artists who have a more acoustic-led sound. Against that are bands who have plenty of grit, passion and rawness. The mainstream is lacking solo artists with tenderness – that are against the ideals of the mainstream – and bands who have original Rock sounds. Maybe this is untrue of the underground but there is a need to expose and highlight all the great musicians that are putting out this work. Scotland is a long way from London but that does not mean it should be shunned and given meagre coverage. I feel Fallen Arches can help make a change in the way we perceive Scotland and its music. These are early days for Bell and it will be interesting to see where it can go. His social media pages are building and he has put out an album, Pen to Paper. I will talk more about it but I feel next year will be a successful and promising one for Fallen Arches. On the strength of the latest album; all the signs point towards an artist who can go a long way in the industry. I will come to look at the wilds of Scotland and how the landscape influences music but it is important for Bell to push the music he has out there. I am looking after a friend’s music at the moment and many P.R. agencies are responding to it. They all love the sound but say the same thing: she needs to get herself to the people and promote what she already has. In terms of her social media; she has a good spread but there is that need to keep pushing the work and not taking the foot off the gas. Fallen Arches have exposure on Facebook and Twitter but the need to get the images and information improved and out there is vital. Colin Bell has a good look and persona so there will be people who want to find some high-quality, good images. There are one or two on his pages but every artist, in this modern time, needs a lot more. I have seen so many great artists – with some deep and meaningful music – connect with people in terms of sound: when it comes to their imagery and projection; there has been something lacking. The business side of music demands every artist has a bare-minimum outlay and look. I hope that is something Bell will invest in through 2018 – getting a professional snapper to take a dozen-or-so great images that are clear, varied (and hopefully do not have a watermark on them). Getting the music side of things ‘right’ is crucial but one needs to match that with the social media and image half. Bell is a spirited and dedicated songwriter and the desire to have that fulfilled and rewarded resonates in me. At the moment, he is preparing for 2018 and putting the music out to the people. Originally – when I was approached for a review – I was going to investigate Let It All Out. Now, with Seventeen out, I have changed and looking at that song. His L.P. is full of terrific songs so it would be good to see a couple more singles released from it. On the subject of promotion and the prolific; I hope Fallen Arches gets a few more videos out and gives the great songs a visual edge. Let It All Out has a video but I am not sure whether Seventeen is going to have a video made. Although I am looking for bigger/more image-focused acts in 2018; that is not to say artists like Fallen Arches are not primed for big things. I am excited to see how Bell has expanded and improved his music. He is a confident artist and one of the best new songwriters in Scotland. If he invests some money in a few images and puts a bit more biography on his pages – that will attract more journalists in and contextualise him in the scope of Scottish music. He has already shared the stage with We Are Scientists, Ultras and Pronto Mama. That is no small feat for someone in the music industry. I know this will continue and Bell was invited to support My Vitriol in Glasgow. I feel the live performance element of his music is what makes Fallen Arches such an attractive proposition. I will end the review looking at where his music might go; whether it is likely to expand nationally – why other songwriters should take notes from him. Next year is going to see some big changes in music. Artists like Bell will be aware of that and will be able to take advantage of it. His music is something I have been hankering after for a while now. The way he manages to talk about common subjects and make them deeply personal is a hard skill to pull off. He does look at ideas and stories we all are familiar with but he makes them about himself and gives the listener honesty. It is rare to find songwriters who are willing to expose their pain but not make it too overwhelming and severe. That might sound like an odd assumption but there are so many who are too naked and revealing. I want to hear about an artist and what goes through their mind. There is a line one must draw so that they are not too raw with their emotions but are never closed-off so they give nothing away. Maybe Pop has taken too much ground over the past few years. One listens to the mainstream and there are a lot of radio-friendly artists who have a particular sound and dynamic. The production is big and glossy and the music is uncomplicated. Many artists do not want to produce anything too challenging because that would compromise their commercial hold and success. That is the way the mainstream has been for a long time but I am concerned it is too inflexible and unchanging. I feel there will be some changes next year whereby acoustic music gets more of a say. I know Fallen Arches employs Rock edges and has some tougher vibes but there is the sensation of calming and reflective. Although his music does look at relationship break-ups and personal woes – there is something, oddly, nourishing about his sounds. I wrote a piece yesterday that asked whether acoustic music was on the way out. I do not hear much of it these days and that makes me a bit sad. I love the legends of Folk who managed to amaze and impress with a mere guitar. The modern scene seems to be more concerned with force, sound and colour. There are acoustic artists - but for every one of them you see; there are dozens of others who prefer their music more energised. Maybe we feel there is no potential to succeed and impress for those who do not shove music down our throats. That might be harsh but a great songwriter knows how to win and seduce an audience with an acoustic guitar. I feel one of the things that will change in 2018 is the dominance of commercial sounds and a change towards something with greater depth. I have grown a bit weary of the chart music that places more validity on the streaming services and popularity – rather than genuine songwriting that can strike the heart and mind. Maybe this is the way it has always been but, in a world where we are more afraid and less sure; that desire for something substantial is essential. I love to find an artist who can blend the softer acoustic tones with something more fired and physical. Fallen Arches is a songwriter who has been in the business for years and knows what his audience wants. Bell has travelled up and down Scotland and built a reputation as one of the best live acts around. The stunning live sound is something he should wear like a tattoo. He manages to bring that wonder and emotion into his studio-formed music. I am always drawn to artists who can craft an incredible live show. This year, I have seen a few gigs and am always blown away by the way they connect with the audience. So many big artists rattle through their songs and produce generic sets: artists that go deeper and take the chance to bring the audience into their music should be commended. Fallen Arches is a night out you will not forget. Some of Scotland’s biggest sources have paid tribute to a musician who manages to touch the listener and bring them into his world. I mentioned how his songs have that personal touch – they can get into the skin and remain in the soul. His voice and performance skills are part of that and one reason I hope he comes and plays down my way. I am envious Bell has the chance to explore the nature and variations of Scotland. There are few nations that have such evocative and scenic backgrounds. England has its striking history and high-points (Yorkshire and its countryside among them) but Scotland is in a world of it owns. From the Highland glory to the castles and buildings of Edinburgh; the honesty and dignity of Glasgow through to the beaches and treasured coves. It is a nation that can widen the eyes and get the blood hot. I have talked about Glasgow a lot this year and why it is a vital city. The musicians here are among the finest in the world and the city itself is beloved by most. Bell is based in and around the area and getting heat and good love from critics there. Not only does Scotland have great venues and people in every part; Glasgow is a city, I feel, is the true capital of Scotland. It seems to have a better reputation than Edinburgh and is a lot stronger when it comes to the music scene. The artists are more varied and the people seem to have a different take on life – more humour, honest and loveable. That might be an outsider’s view but I know the musicians of Glasgow have something different about them. I will end the piece by touching on that but I am excited to see how Fallen Arches can expand in the coming year. Although the moniker of Colin Bell sounds like a medical complaint of the feet – there is no stopping the pace and progress of one of Scotland’s brightest new stars. Maybe London will retain some of its grip and legacy but I know areas like Glasgow and Scotland will accrue more dominance and importance. new need to shake off our presumptions and dogged ideals of what music is about and where we should look. I am impressed Fallen Arches is making progress and the reputation critics are affording Bell. I feel Bell is someone who can bring back the art and necessity for acoustic/calmer music. I said how he does have tougher, musical sides but there is that ethos and side of the personality few modern songwriters are talking about. Folk music, in past years, has talked about the plight of the affected and poorer communities. Impoverished souls have found their story being told by Folk artists. Now, the genre is more eclectic and progressive. There are acoustic artists who talk about societal concerns but most artists have dispensed with acoustic bases and are taking their music into new realms. If you know where to look; there is that band of musicians who know what wonder can be extolled from the acoustic guitar. 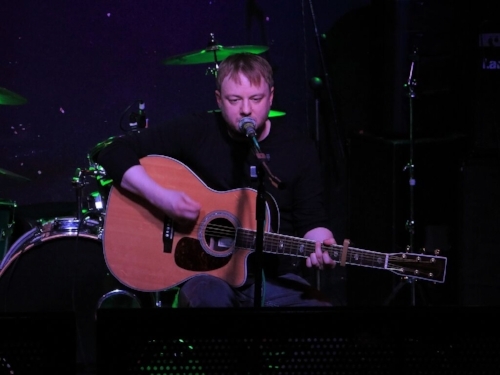 Bell is someone who has taken note of the rich seam of acoustic music in Scotland and added his own spin. I know that will continue into next year and see more material arrive from him. I am making a list of the artists to watch in 2018 and have included a varied selection of acts – covering so many genres and cities. Few of the artists I have included are able to impress and stun with an acoustic guitar. There are few artists that have the belief they will be taken seriously; critics will note their music and they can gain necessary respect and consideration. I feel there is a great need, in music, to see the older traditions and sounds of Folk come back in. I will leave that point there but feel like there needs to be a look at music and things we are missing out on. The so-called best acoustic artist of the year is Ed Sheeran. He appeals to a certain demographic but is not indicative of the scene and why people like me love acoustic music. Seventeen starts its life with tumbling strings and a lightness. There is passion and pride in the performance and the composition compels the imagination and gets your brain working. All good songs should do this: few tracks I have witnessed all year have managed to do that. It is the accent and natural voice of Colin Bell that gives the song its natural charm and conviction. If songs like Let It All Out were about exultation and releasing the pain: here, we have a song that seems to reflect childhood or a past time. We get images of innocence and playfulness; balls being kicked up and down. If Let It All Out suggested balls being kicked in a rather spiteful and painful manner: here, there is a sense of the free and child-like that shows what a varied palette Bell has. There are artists who hide their tones and Americanise their voices. Maybe that is a conscious effort to get the music to the U.S. but Bell does not try that. He is all about his own identity and providing the listener with honesty and full discretion. His Scottish burr makes the music come alive and brings the listener into the picture. I get a little fleck of the 1990s and some of the bands that were arriving around the Britpop period. That same sense of quality and evocation comes through (in Bell’s song). Right from the off, one is involved in the song and following the projection. It seems like a game of football is underway but maybe it is a metaphor for love. There are hard tackles and painful situations – breakups and cruel words – that have burnt into the heart of the hero and made him reflect. It is the strings that continue to impress and get into the imagination. The bold and passionate voice of Bell brings the song to the fore and that combination of qualities that makes Seventeen so appealing. If the early stages suggest heartache and the loss of love: the song develops into something more positive and redemptive. It seems the sweethearts are unbreakable and beyond fracture. There were hard times and splits but things are solid and you cannot easily destroy that affiliation. Bottles and brews are “Tainted with spiders” and will never taste as sweet again. These images not only heighten the song’s power but show the complexities and layers of love. Maybe the age-referencing song refers to childhood and how adulthood is less sure and more unpredictable. The hero is hanging out around derelict flats and making sure friends are kept safe. I was wondering whether the song referred to love alone and if there was something deeper running through the water. It is clear Bell is looking back at his early life and those changing teenage years. There are vivid experiences and a sense of a working-class lad that wants to return to those past days. He has changed in life and moved on but reflecting on his past and where he came from. I am not sure whether lamentations and memories of the past are designed to augment the present or they are being put to bed. The vocal is constantly alluring and invigorating. It is full of passion and wondering; it has sadness working throughout and shows a scarred heart that is trying to repair. Few songwriters manage to make such an impression upon the first listen. Seventeen is a song that reveals more of itself through time and shows its heartbeat firmly. You are affected by the strings and clarity of the voice; invested in the lyrics and piecing together the story – trying to get to the bottom of it. Colin Bell has been around a while but it seems, right now, he is producing his strongest material. The confidence one hears coming from the song cannot be ignored. He is sure of what he is doing and is at the top of his game. I related to some of the ideas expressed in Seventeen: that desire to hold onto a love many doubt; the bare-boned simplicity of play and hanging out; the way life changes and we look back on times past. It is a stunning and assured song from one of the best young songwriters of the moment. Expect Fallen Arches to make some serious moves in 2018! FEATURE: Strings Attached: Is Acoustic-Based Music Relevant in the Modern Scene?